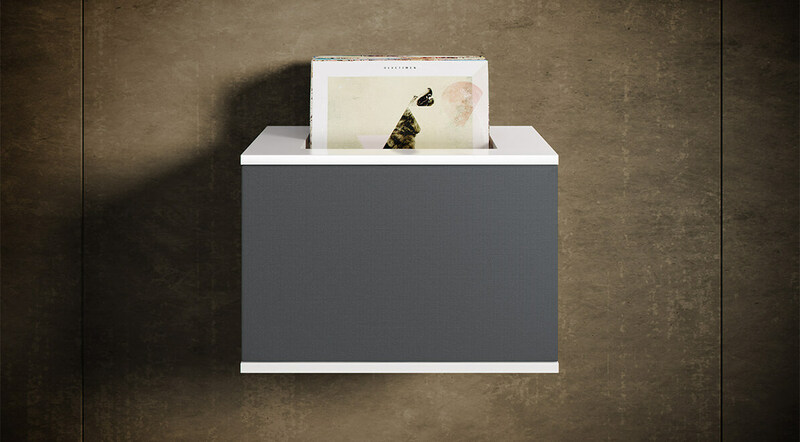 In the top of model 210 LP we have made a cutout so you can place your favourite vinyls. 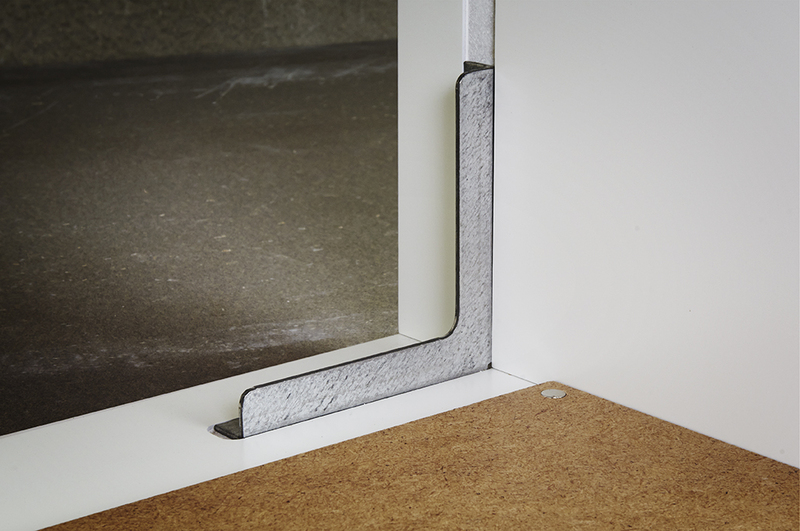 On both sides of the hole we have placed an aluminum angle to protect the furniture. Model 210 LP has 1 room and a non-slip rubber mat and 1 back plate. The vinyls rests on the non-slip rubber mat. The room can be open or can be fitted with a fabric or wood door . All unnu models are available in white and black paint. 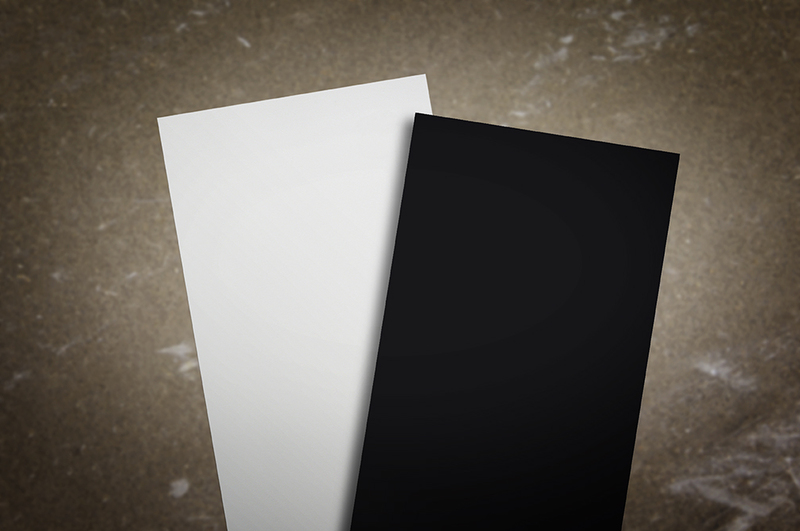 All wood doors and drawers are also available in white and black paint. 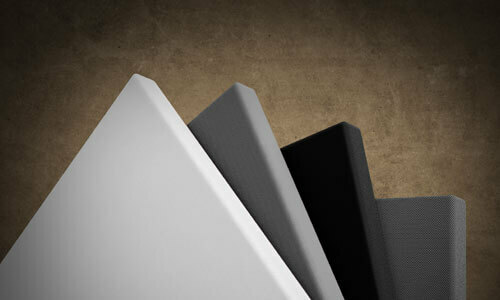 Fabric doors are available in 3 colors: white, silver, black and grey. We use a polyurethane paint on all items. This type of paint is both hardwearing and colorfast. 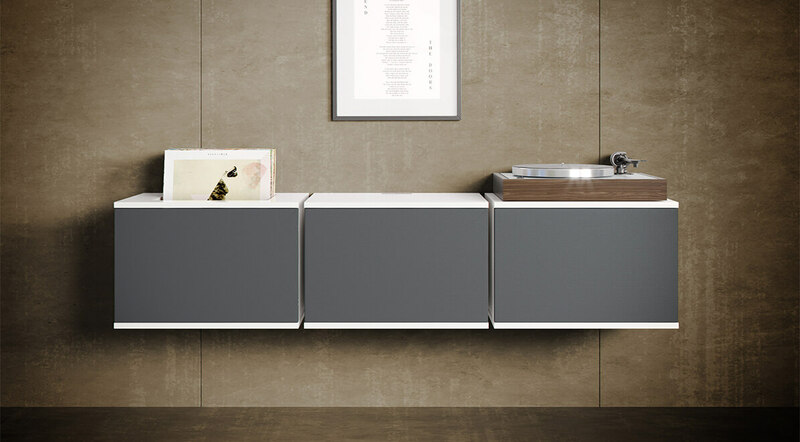 The unnu furniture are Danish design and produced in Denmark. 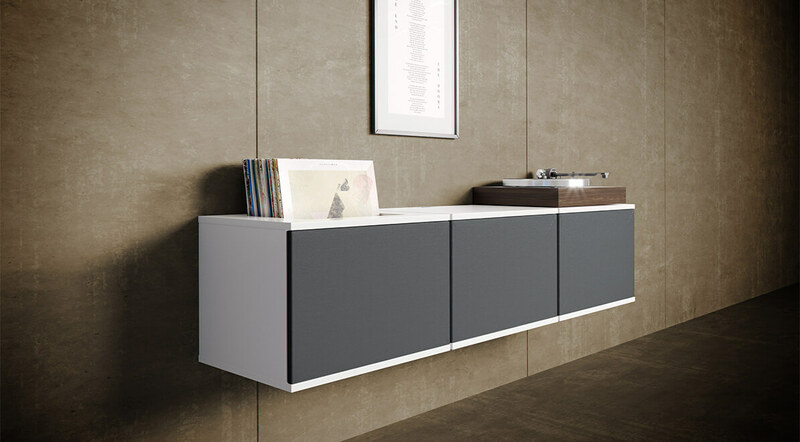 The furniture are made of 16 mm painted MDF and each room in a unnu furniture is enhanced with 4 special designed metal angles in the back of the furniture. This construction gives the unnu furniture great strength. The unnu furniture are a combination of exclusive design and functions. 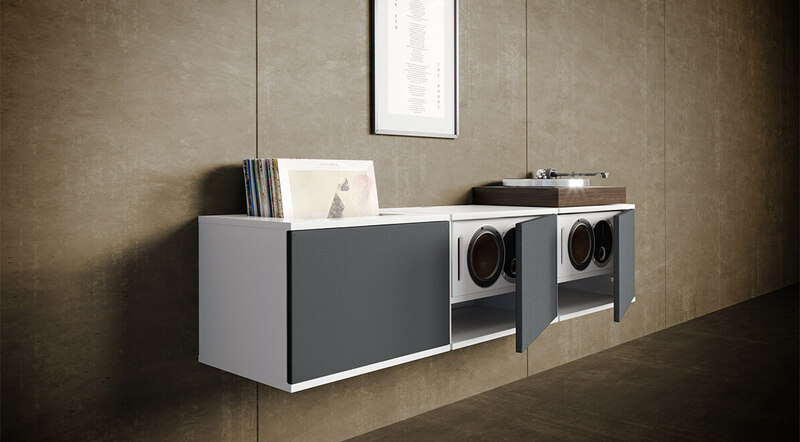 The functions allows cables, game consoles, software or anything else that disturbs the eye, to be a part of a stylish set-up. 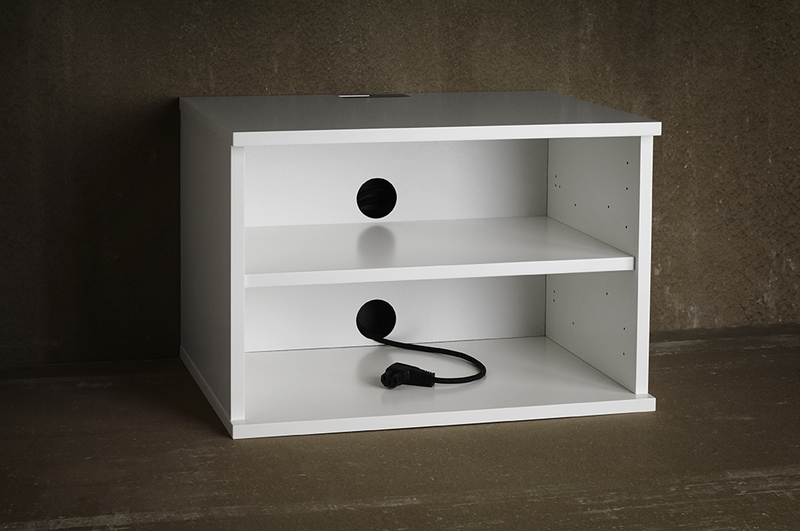 The unnu furniture are fitted with a movable back plate that allows you to hide cables in the back of a furniture. The back panels are magnet mounted 5 cm from the back of the furniture. Furthermore, the unnu furniture has an elegant cable opening in the top and bottom that makes it easy to run cables from one piece of furniture to another. unnu’s special designed cable cover plates allows an elegant solution for cabling from the furniture. 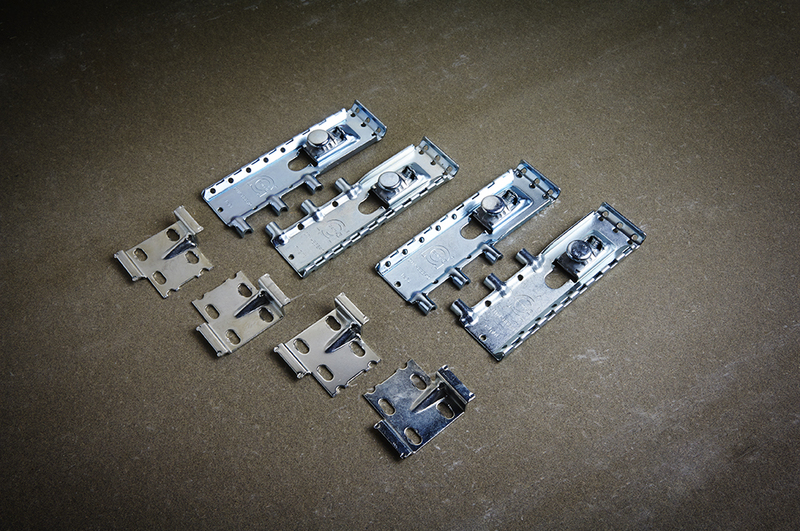 The cable cover plates are produced in aluminum. There are 4 types of cable cover plates and they fit in all unnu models. 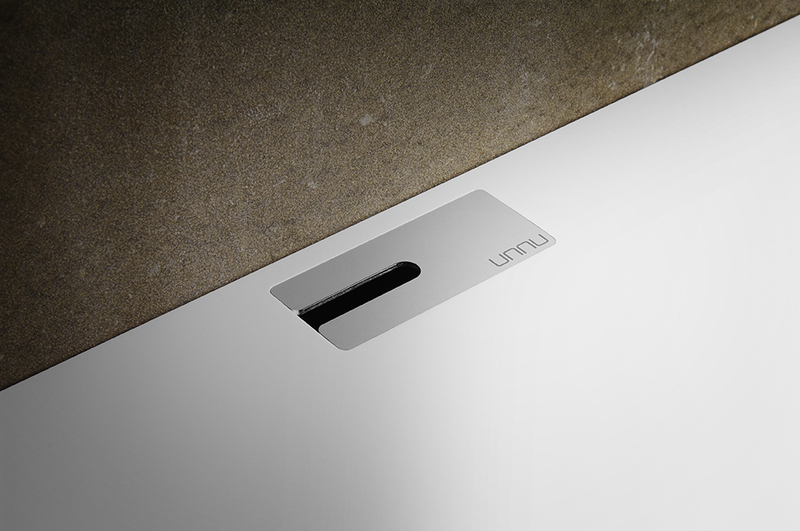 All cable cover plates are available in silver and are engraved with a discreet unnu logo. All unnu models can be placed on the floor on the special made unnu stands. Each stand are machined out of one piece of aluminum. All unnu stands have adjustable feet to regulate the height. They are available in silver and black. With an unnu wall bracket, you can mount you furniture on the wall. 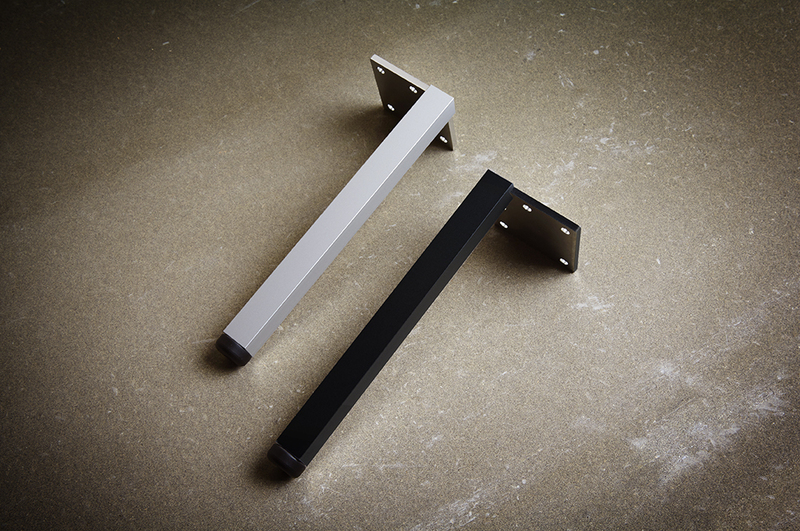 Our wall bracket allows you to mount your furniture tight up against the wall. They can be adjusted in level and pulls the furniture tight to the wall. With the adjustment possibilities, we insure that your unnu furniture are safely mounted on the wall.